La Fayette was born on September 6, 1757 to Michel Louis Christophe Roch Gilbert Paulette du Motier, Marquis de La Fayette, colonel of grenadiers, and Marie Louise Jolie de La Rivière, at the château de Chavaniac, in Chavaniac, near Le Puy-en-Velay, in the modern department of Haute-Loire. His full name is rarely used; instead he is often referred to as the marquis de La Fayette or Lafayette. La Fayette’s lineage appears to be one of the oldest in Auvergne. Members of the family were noted for their contempt for danger. La Fayette’s father, struck by a cannonball at the Battle of Minden in Westphalia, died on 1 August 1759. La Fayette became Lord of Chavaniac, but the estate went to his mother. La Fayette’s mother and his maternal grandfather, the Marquis de La Rivière, died, on 3 and 24 April 1770 respectively, leaving La Fayette an income of 25,000 livres. Upon the death of an uncle, the 12-year-old Lafayette inherited a handsome yearly income of 120,000 livres. La Fayette was raised by his paternal grandmother, Mme de Chavaniac, who had brought the château into the family with her dowry. Also in the household were Mme de Chavaniac’s daughters Madeleine du Motier, and Charlotte de Guérin, the Baronne de Chavaniac. Armes des Motier de La Fayette : De gueules à la bande d’or et à la bordure de vair. April 11, 1774, he married Marie Adrienne Francoise de Noailles (1759-1807) daughter of the Duke d’Ayen, with a dowry of 200 000 pounds which at the time was a very large sum. His marriage allows it to be presented to the Court because his wife’s family, one of the oldest of the Court of France is related to Madame de Maintenon, his wife Marie Adrienne being her niece. Until 1771 La Fayette studied at the Collège du Plessis (Lycée Louis-le-Grand), while being a trainee to become an officer at the Musketeers of military Household of King of France. In 1775, La Fayette (Captain of Cavalery) took part in his unit’s annual training in Metz, where he met Charles-François de Broglie, marquis de Ruffec, the Army of the East’s commander. When he first learned of that quarrel, he wrote, « My heart was enlisted and I thought only of joining the colors. » La Fayette returned to Paris in the fall and participated in “sociétés de pensée” (our modern think tanks) that discussed French involvement in the American Revolution. At these meetings, a frequent speaker, Abbé Guillaume Raynal, criticised the nobility, the clergy and the practice of slavery. 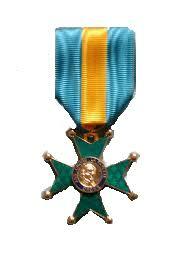 The monarchy banned Raynal from speaking, and he expressed his views secretly in the Grand Orient de France masonic lodges of which La Fayette was a member « My heart was dedicated. » La Fayette said. Young Marquis de Lafayette in a uniform of major general of the Continental Army. On December 7, 1776, La Fayette arranged through Silas Deane, an American agent in Paris, to enter the American service as a major general. Lafayette visited his uncle Marquis de Noailles, the Ambassador to Britain. During a ball at Lord George Germain’s, he met Lord Rawdon, met Sir Henry Clinton at the Opera, and met Lord Shelburne at breakfast. Lafayette refused to toast King George, and left after three weeks. In 1777, the French government granted the American military one million livres in supplies after Minister Charles Gravier pressed for French involvement. De Broglie intrigued with his old subordinate, German Johann de Kalb, (who had previously done a reconnaissance of America), to send French officers to fight alongside the Americans, (and perhaps set up a French generalissimo). De Broglie approached Gravier, suggesting assistance to the American revolutionaries. De Broglie then presented La Fayette, who had been placed on the reserve list, to de Kalb. Returning to Paris, La Fayette found that the Continental Congress did not have the money for his voyage; hence he acquired the sailing ship La Victoire himself in Bordeaux. The king officially forbade him to leave after British spies discovered his plan, and issued an order for La Fayette to join his father-in-law’s regiment in Marseille, disobedience of which would be punishable by imprisonment. The British ambassador ordered the seizure of the ship La Fayette was fitting out at Bordeaux, and La Fayette was threatened with arrest. -On April 17, 1777, he travelled to Spain (Pasajes de San Juan) for support in the American cause. -On April 26 1777, he sailed for West Indies but change his route for America. -On June 13, he landed on North Island near Georgetown, South Carolina. Named after General Gilbert du Motier, marquis de Lafayette. LaFayette (Pronounced: /la-ˈfeɪ-ɛt/ lah-FAY-et, /la-ˈfaɪ-ɛt/ lah-FYE-et, or /ˈlʌ-feɪ-ɛt/ LUH-fay-et) is the county seat of Chambers County, Alabama, United States, 47 miles (76 km) northwest of Columbus, Georgia. As of the 2000 census, the population of the city was 3,234. History : Chambers County was formed in 1832. The newly elected county officials opted to locate the county seat as near as possible to the center of the county. Lots for the new town were auctioned in October 1833, with proceeds from the sale financing the construction of a courthouse and jail. The town was first called Chambersville, but by the time of incorporation on January 7, 1835, the town name had been changed to Lafayette, named after Marquis de Lafayette; its spelling was changed to « LaFayette » due to the influence of newspaper editor Johnson J. Hooper, who created a fictional character called Captain Simon Suggs, a backwoods southerner who pronounced the town’s name as « La Fait ».The city’s newspaper, The Fayetteville Sun, was founded under the name The Alabama Standard in April 1841 and adopted its current name on August 3, 1881. Scenes from the movie Mississippi Burning were filmed at the Chambers County Courthouse and in downtown LaFayette. Lafayette is the birthplace of heavyweight boxing champion Joe Louis. An 8-foot (2.4 m) bronze statue was erected in his honor in front of the Chambers County courthouse. It is also the hometown of Hoyt L. Sherman, one of artist Roy Lichtenstein’s principal art professor/mentors at The Ohio State University. Fayetteville is a census-designated place and unincorporated community in Talladega County, Alabama, United States. Its population was 1,284 as of the 2010 census. Fayette County is a county of the U.S. state of Alabama. Its name is in honor of the Marquis de Lafayette (or de la Fayette), who aided General George Washington in the American Revolutionary War. As of the 2010 census, the population was 17,241.Its county seat is Fayette. Lafayette County is a county located in the state of Florida. In the 2010 census, its population was 8,870. It is the second least populous county in the state, with a few hundred more residents than Liberty County. The county seat is Mayo. Lafayette County is a prohibition or entirely dry county. History: Lafayette County was created on December 23, 1856, from part of Madison County. At the time it comprised all the area of present-day Lafayette and Dixie counties. The County was named in honor of the Marquis de Lafayette, the French general who rendered assistance to the Continental Army in the American Revolutionary War. The famed Suwannee River forms the entire eastern boundary. The county courts first met at the home of Ariel Jones near Fayetteville. The county seat was New Troy until the court house burned down on New Year’s Eve, 1892. It was moved to Mayo in 1893, and Mayo is currently Lafayette’s only incorporated town. The moving of the courthouse was the end for New Troy. The Gainesville Sun states that houses were dismantled for their timber and bricks, hardwoods replaced the fields, steamboat traffic ended in 1899, and the ferry closed in 1917. In 1921 the lower part of the county was carved off to create Dixie County. LaGrange, Mims and Titusville are historic towns in northern Brevard County, Florida. Their old Florida histories stand in counterpoint to the modern programs at nearby Kennedy Space Center. LaGrange is located in Brevard County, Florida between Mims and Titusville. It is commonly considered a part of Titusville, but was an earlier community, originally settled in 1852 The old settlement was primarily reached by the St. Johns River in the old days. There was a boat landing on Salt Lake to the west of town, and the lake was connected to the river. The community center in those days was the LaGrange Church. La Grange, Florida, a Place in Brevard County. La Grange, Georgia, a Populated Place in Troup County. La Grange, Illinois, a Place in Brown County. La Grange, Illinoi, a Place in Cook County. La Grange, Illinois, a Village. La Grange, Illinois (Hodgkins; Mc Cook; La Grange Park; Sta #1), (World Of Beauty). West Lafayette is part of the Lafayette, Indiana Metropolitan Statistical Area. La Grange, Kentucky, a City. La Grange, Kentucky (Ky State Reformatory). La Grange, Michigan, a Place] in Cass County. La Grange, Missouri, a City. La Grange, Missouri, a Populated Place in Lewis County. La Grange, North Carolina, a Populated Place in Lenoir County. La Grange, North Carolina, aTown. Lafayette Hill, small unincorporated community in Whitemarsh Township, Montgomery County in the Commonwealth of Pennsylvania. DeBordieu, South Carolina. One of the oldest beachside communities in Georgetown County. La Grange, Tennessee, a Town. La Grange, Texas, a City. La Grange, Texas, a Populated Place in Fayette County. La Grange, Wisconsin, a Place in Walworth County. La Grange, Wyoming, a Town.